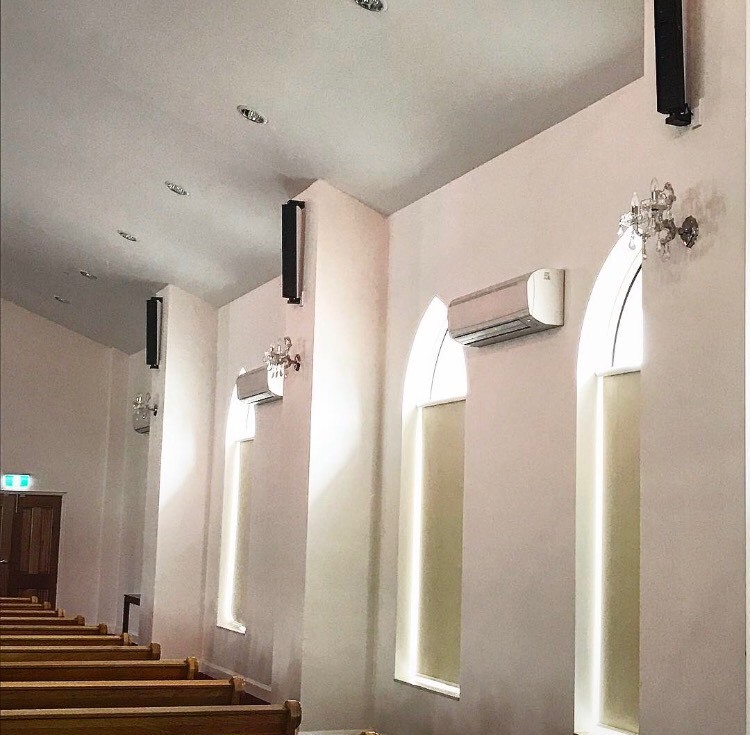 Since the opening of St Abdisho's church of Melbourne in 2014, congregation sizes have expanded to the point where their initial 100-volt line audio system was proving incapable of servicing the church's needs for high-level speech intelligibility and transparent audio reproduction of their choir. This is when they turned to Music on Stage in Sydney for a much-needed update for their basic system. The initial brief was to upgrade the 100-volt line system with high-quality, low-profile, passive column array speakers. After consulting with Music on Stage, the HK Audio Elements system was deemed to be the perfect fit. 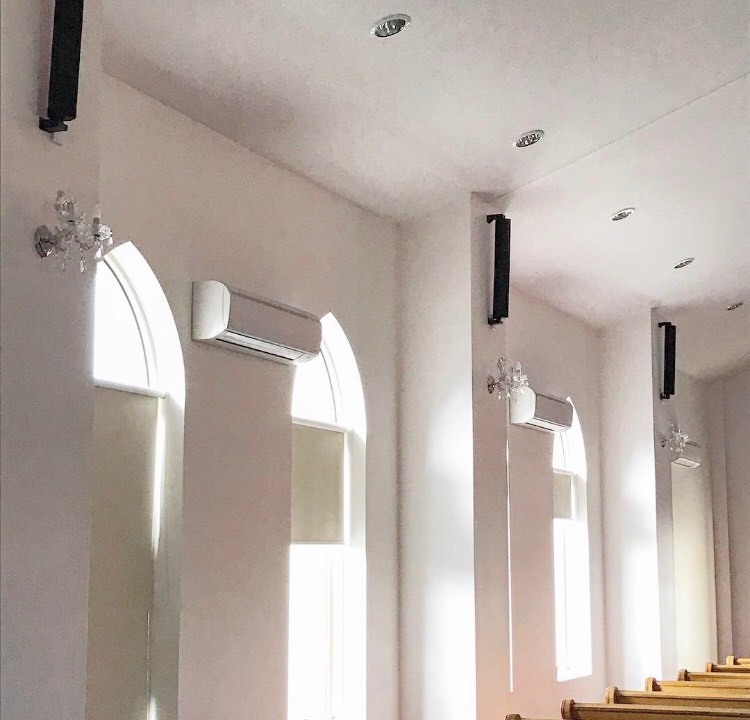 Eight of HK Audio's E835 passive install speakers were installed. Three pairs of column speakers were positioned at intervals along each side of the church to deliver seamless coverage, with two columns positioned left and right at the head of the altar. This setup delivers clean audio and accurate reproduction to all areas of the main hall. 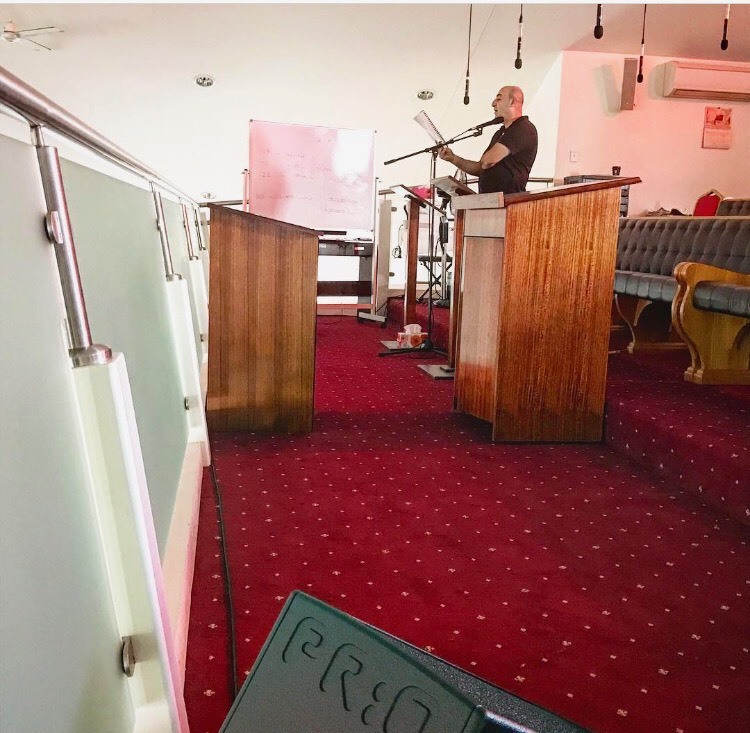 However as the system design unfolded, CMI's technical specialist, Lee Stevens, gained a deeper understanding of the church's requirements and felt the job went much deeper than simply replacing loud speakers, recommending a top-to-bottom refit. The church fundamentally had issues with controlling and mixing audio. With up to five priests presiding over the service at any one time, management of audio levels for the uninitiated is very challenging. Having an experienced audio engineer on site is always preferable but not always practical. To circumvent this common issue, AKG's Professional Digital Automatic Gain Amplifier was given the duty of mixing and monitoring all levels on the fly. The mixer essentially maintains a summed output of zero db at all times and is designed to automatically increase quieter voices and decrease louder levels of speech to maintain a normalised signal output. This way, five priests - all with varying mic technique - can now clearly and effectively communicate with the entire congregation. Placed on a balcony to the rear of the church's impressive hall, the choir also had its own range of audio challenges: from not being able to hear themselves; to excessive microphone feedback. These issues were solved with a pair of HK Audio PRO12M stage monitors to provide the choir upstairs with real-time audio monitoring. The low-profile high-powered monitors are an ideal fit. Once the priests' and choir's problems were solved, it was time to look at the overall control of the system. The chosen solution was Mackie's DL32R wireless iPad Mixer. Like most churches, St Abdisho does not have the luxury of a standard FOH position, meaning they require a mixer that can be stored away, yet controlled from anywhere in the building. Another element that the DL32R provides is a graphic EQ for all outputs, essential in crafting the monitor mix for the choir and eliminating a lot of the feedback issues previously experienced. All mics are fed into the unit, including the output from the AKG auto mixer. Completing the brief for an easy-to-use system, all mic inputs are grouped in the Mackie Master Fader software and then hidden and locked, presenting a simple three-channel solution: single audio level for the choir; the priests' output; and the overall main PA output level. This way even without a dedicated AV technician, the church can still have control of its audio. To power the whole system, Phonic XP and Max amps were specified for the main PA system, foyer and parents room. 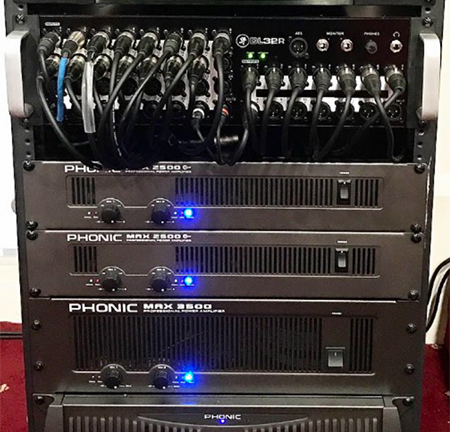 Leonard David, proprietor for Music On Stage, said his vision was 'to provide the church with a simple-to-use PA that enables non-technical people to autonomously operate the system, while delivering flawless audio reproduction at an affordable price. I'm happy to say we exceeded the brief'.